The Cayuga Chamber Orchestra, distinguished by the designation of the “Official Orchestra of the City of Ithaca,” has been presenting exceptional live classical music to the region since 1976. 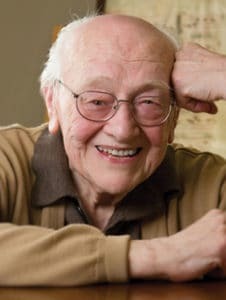 The Orchestra was founded by Charles McCary forty-one years ago when a group of local professional musicians debuted as the Finger Lakes Orchestra. Distinguished conductor and Pulitzer Prize winning composer KAREL HUSA, became Music Director of the orchestra in 1977 and served until 1984. He led the CCO in over 50 performances including ballets, oratorios, commissioned works, premieres, and many of his own works. Husa reunited with the CCO at a Chamber Series concert when his Sonatina for Violin and Piano was featured during the CCO’s 30th Anniversary Season. From 1984 to 1986, the CCO was led by guest conductors while the organization searched for a new leader. 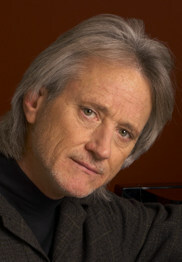 In March 1986, the Board of Directors named CARL ST. CLAIR as Music Director. Under the leadership of St. Clair, the CCO expanded its offerings from six to ten concerts per season. In 1987-88 the Chamber Music Series was added, and a new holiday event, Caroling by Candlelight, was introduced. St. Clair stepped down as Music Director in 1991, but continued on as Artistic Advisor while the search for his successor was launched. 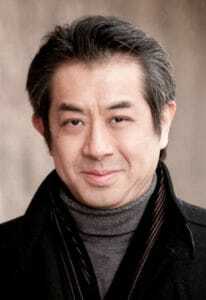 During 1992-93, six finalists led full-orchestra concerts, and in May 1993, HEIICHIRO OHYAMA became the CCO’s third Music Director. As a well-established and respected violinist, he performed in the CCO’s Chamber Music Series and continued to build on the orchestra’s growing success by attracting new musician members from an increasingly wider area. He brought in world-class soloists including Malcolm Bilson, Jeffrey Swann, and Max Levinson. During his five seasons, his efforts allowed the CCO to become an ensemble with a regional reach. Music Director, KIMBO ISHII was the next to lead the CCO, and was on the podium to celebrate the CCO’s 25th and 30th anniversary seasons. Ishii was instrumental in working with local groups and artists in collaborative performances, including highly distinguished artists such as Steven Stucky, Rachel Lampert, Steven Doane, and the Cayuga Vocal Ensemble. 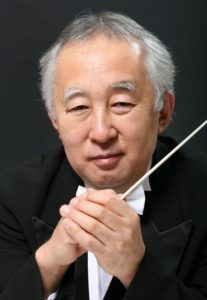 Ishii’s final performance as Music Director for the CCO was in April of 2007, when he conducted Beethoven’s Ninth Symphony at Bailey Hall with the Cornell University Chorus and Glee Club. 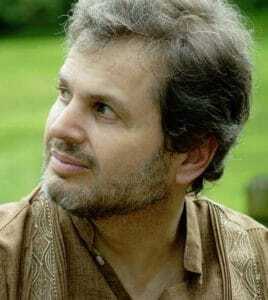 In June of 2008, the CCO announced that LANFRANCO MARCELLETTI would be taking the podium for the ’08-’09 Season as the next CCO Music Director. Maestro Marcelletti’s tenure brought a distinct diversification in repertoire and programming, including collaborations with several celebrated artists and distinguished local organizations and talents including Daniel Binelli and Polly Ferman, Eric Himy, the Cornell University Chorus and Glee Club, Roberto Sierra, Rachel Lampert, Janet Galván, UNYC, Steven Stull, Pablo Cohen, Annette Richards, Linda Case and more. In March 2011, Marcelletti conducted Vivaldi’s The Four Seasons to a sold-out house in a landmark production with the Hangar and Kitchen Theatres, Cornell University, and Lindsay Gilmour. Audiences and musicians alike have raved about the vitality he brought to the stage. His commitment to diversity in programming and expanding the CCO’s reach was demonstrated by two recording projects – a commercial CD of works (including a world premiere) by the esteemed American composer, Charles Bestor, and a concerto with acclaimed guitarist Pablo Cohen. Four finalists were selected to lead the Orchestral Series concerts during the 2015-16 Season. At the conclusion of the season, Cornelia Laemmli Orth was chosen to be the next Music Director of the CCO, beginning with the 2016-17 season, the CCO’s 40th Anniversary of serving Ithaca and the surrounding communities. The Cayuga Chamber Orchestra, through its professional excellence, vibrant performances, community education, and passion for transformation through music, is devoted to fostering artistic life in the Ithaca and Finger Lakes regions of New York State.